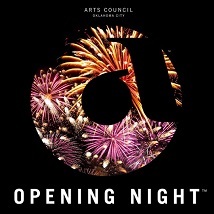 Opening Night is back and better than ever! Since 1987, the Opening Night celebration is the go-to place for families and friends to “open” the New Year in style! Downtown Oklahoma City sets the stage for a variety of bands, entertainment, and an unforgettable children’s craft and performance area. And for the first time, we are offering our 21+ friends a place to grab a drink and warm up in our New Year’s Cheers tent facing the Finale Stage. The day begins with the festive Finale 5K race and concludes with a bang at the midnight fireworks extravaganza! We’ve got a lot of great things planned for you so make sure you purchase an event wristband for you and yours! Wristbands are $8 in advance and $10 the night of the event. Don’t forget, wristbands are nonrefundable. Purchase advance wristbands starting DECEMBER 1ST at MidFirst Bank locations, 7-Eleven stores, and on our website. NIGHT OF, you may purchase wristbands at sales locations across the event.